More than just a magnificent building, The Church of St. Andrew and St. Paul is a vibrant hub of caring people living and sharing God’s message of hope while reaching out to those in need in their local community in Montreal, Canada and worldwide. We are members of the Presbyterian Church in Canada. We hold traditional worship services accompanied by our renowned choir singing traditional sacred music every Sunday morning at 11 a.m. EST in our spacious sanctuary. In addition to the beautiful stained glass windows, the church also has a majestic organ, one of the largest in Montreal, to accompany our choir. 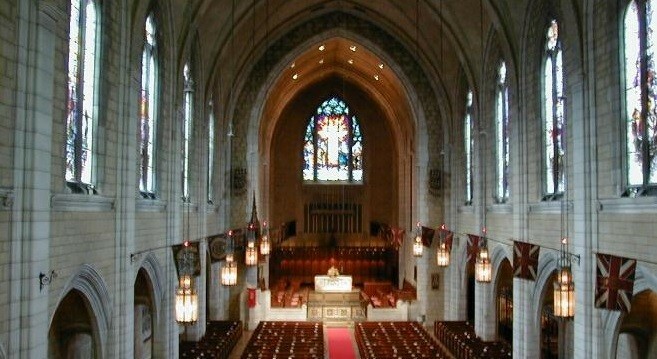 Special services and musical performances are held throughout the year, all open to the public. Visitors are welcome to join us in Holy Communion which is held 6 times per year. There is also a Crèche (Nursery) and Church School (Sunday School) for your children, so please bring them along. In addition, the Church has numerous committees that undertake our many mission projects. For example, in Montreal, we help close to 20 different local charities. We foster exchanges with a native community in Saskatchewan and provide hundreds of pieces of clothing for them. On the international scene, we work through the Presbyterian World, Service & Development agency that provides development and relief in challenged countries, especially Africa. Ten years ago, we welcomed a young African refugee who started a new life in Canada. Our congregation is currently sponsoring a Syrian refugee family and working with Action Réfugié Montréal and the YMCA Residence on Tupper Street in Montreal to provide help to hundreds of cross-border refugees from the US. Our youth group brings together young people from Grade 6 through High School who are very active in the community, often helping with various events around the church and fundraising for many of our projects. Another group that we call “The Guild” organizes one of our largest events, our “Annual Fall Fair” in November where donated items and baked goods are sold to raise funds that are distributed to the many charities that depend on our support each year. Stephen Ministry offers one-to-one care for people going through a crisis or difficult time. This might include loss of a loved one, job crisis, divorce, single parenting or major life transitions. Stephen Ministers are trained lay caregivers who provide quality, confidential, Christ-centered care to people who are experiencing special needs and circumstances. The Stephen Minister and the person receiving care meet on a weekly basis for as long as needed. As one of the largest and most vibrant Presbyterian Congregations in Canada, we welcome all to worship with us or join our community to participate in our projects and activities. Diversity is one of our mainstays as seen every year during our Heritage Service where we parade in over 30 flags of the different nations represented by members in the congregation. We also encourage you to join us after services for “Coffee and Conversation” to learn more about what we are doing. As you can imagine volunteer participation is key to sustaining the many events and activities within our congregation. We are always seeking people with expertise in areas such as building management, archiving, teaching, singing, knitting, accounting, law, photography, communication and many other skills. We also need volunteers to be ushers, tour guides, to make sandwiches and squares for receptions, and many other duties. The Rev. Dr. Glenn A. Chestnutt has been a life-long member of the Presbyterian Church, having grown up in Dervock, Ballymoney, Northern Ireland. 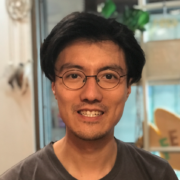 He began his career as a teacher after qualifying with a B.A. (University of Ulster) and then a D.A.S.E (Queen's University Belfast) before sensing a call to ministry within the Church. He was ordained as a minister in the Church of Scotland in 2009. He completed the Master of Divinity and the Master of Theology degrees at Princeton Theological Seminary, USA. 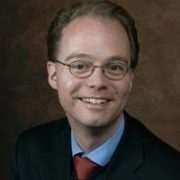 From there, he went on to complete his Ph.D. at the University of Edinburgh, Scotland in the area of Systematic Theology, focusing on the theology of Karl Barth. He has won several awards including the Princeton Seminary Jagow Scholarship in Preaching. 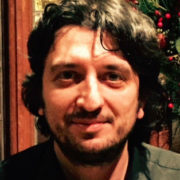 His publications include one book and several articles. Glenn has served on numerous committees of the Church of Scotland as well as various ecumenical initiatives. Glenn is married to Hannah and they have one son, Rowan. 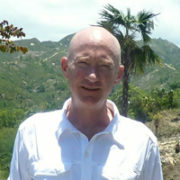 Ian Fraser is currently the Interim Associate Minister of the church. Dr. Armour was our Minister from 1983-1998, and named minister emeritus in 1999. Dr. Armour is the honorary chaplain of The Black Watch (Royal Highland Regiment) of Canada and honorary life chaplain of the Royal Montreal Curling Club. He also serves on the board of the Mount Royal Cemetery. He is married to Margaret and they have four grown children and five grandchildren. Mrs. Dworzak has 22 years of teaching experience, including teaching children with special needs, and has taught Sunday School since her late teens and was Sunday School Superintendent as well as Youth Leader for two groups prior to teaching our Church School since 2003. Her main goal for the Church School is to help the children grow in Faith with a strong emphasis on scripture, having the children discover how the Bible relates to their daily lives, thus encouraging them to make a personal commitment to Jesus Christ. 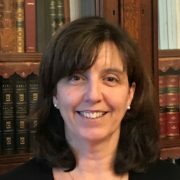 Sandra Steadman, CPA, CGA oversees the church office operations, general administration and accounting in her role as office manager. She serves as an Elder at her home church and has many hours of volunteer experience. Sandra is one of the first people you’ll meet as you enter the church and is ready to assist you with a smile. That cheerful voice that we hear when calling the church office belongs to Susan Knell, our Church Secretary. When she is not pulling all of the components together to publish our weekly bulletin in time for our Sunday Services, she is delivering emails and e-blasts of upcoming church events, updating our events page on our website or taking care of the numerous day-to-day activities of the church. Sue is a wonderful part of our Church “family” and will certainly lift your spirits with her cheerful voice the next time you call. As Church Officer, Peter is known for being the main resource person at the church. If you locate him, he'll probably smile and tell you what latest projects that he's indulged in. DON'T bring up heating systems, he'll talk your ears off. Sundays, he is Our Beloved Church Beadle, preparing the Church for Sunday Worship and is the care-taker of the "Word" (our church Bible). If you sit up in the gallery during our worship services, you will see Stratsi hard at work operating the sophisticated audio visual equipment that is used to produce the live broadcast of our worship services, concerts and other church activities, as well as the recordings. 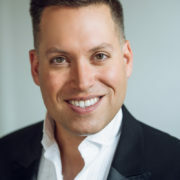 Stratsi also uses his considerable experience and skills to expertly set up, maintain and operate all the microphones, monitors, projectors, lighting and sound equipment used in our meeting rooms and Kildonan Hall. In addition, he doubles as a cameraman to produce and edit many of the promotional videos of our church activities which we post on our website and social media. Stratsi is an invaluable member of our team allowing our ministers and congregation to reach out across the world to share God’s message of compassion and hope. Johnty is the communications coordinator, who works with the communications team and the church office in handling media and content for internal and external publications. He also helps Stratsi with the AV system, and can be found up in the gallery on Sunday mornings when not singing in the choir. 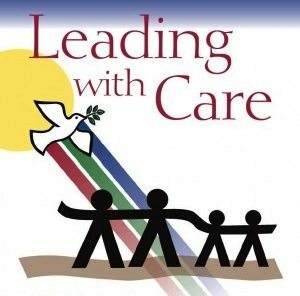 We are committed to providing safe and compassionate environments for all people, in particular all children, youth, and vulnerable adults who participate in the church’s programs and ministries and/or use the church’s facilities. Our Lord modeled for us how to lead with care as he healed the sick and infirm, and welcomed the young, the weak, and the vulnerable. It is our awareness that some people in our church need special protection. It affirms our commitment to training and supporting teachers and leaders in our church so they can effectively and compassionately support this policy. At the front of the church are the Chancel gates, a gift of the Allan family. You will notice the ship motif, evident throughout the Nave, repeated in the brass models of the brig “Jean”. This was the first Allan ship to transport Scottish immigrants to Canada. The other two emblems on the gates are a sheaf of wheat and a chalice, symbolizing the bread and wine of Holy Communion. Three steps though the ship-motif gates lead to the Chancel, dominated by the pulpit to the left, the lectern to the right and stalls for our 50-voice choir. To your right beyond the choir stalls is the console of Montreal’s largest organ, a four-manual 1932 Casavant. There is a second console in the gallery. Most of the organ is hidden from view by the grillwork on both sides of the Chancel and on the west wall of the gallery. The visible pipes overhead are the Trompette en chamade. A total of seven steps – the Biblical number for perfection – ascend to the white stone Communion Table on which are engraved the Cross, the Paschal Lamb, the Dove of the Holy Spirit, and on either end, the Alpha and the Omega. Surrounding the Table are the Elders’ Stalls in which the members of the Kirk Session sit for the celebration of Holy Communion. The stalls are surmounted by hand-carved heads whose faces express the commandment of Jesus to his followers to “watch and pray”. On the ceiling you may discover the symbols of Holy Communion: the Cross, the Chalice, the Crown and the Dove. The silver cross on the Communion Table was a gift of Wayne Riddell, Director of Music Emeritus. Lord, thy call we answer. Take us in thy care. Train us in thy garden. In thy work to share. Between the church and the Musée des beaux arts to the east, is the Quiet Garden, a bicentennial project that opened in 2003. It provides a haven for reflection in this busy downtown neighbourhood. During the summer, it is often the site for Bible Study and post-service receptions. The entrance off Sherbrooke Street is open seasonally from 9 a.m. to 4 p.m. EST. Our Quiet Garden is a spiritual oasis in the city; a place for busy people to find a quiet interlude for prayer and meditation. Everyone is welcome to enter into this beautiful and secure space. It is filled with life and growth and colour, reminders of God’s reassuring work in our world. We hope that in our garden, visitors, friends and neighbours will find solace, serenity and the radiant presence of our risen Lord, who first came to his followers in a garden. 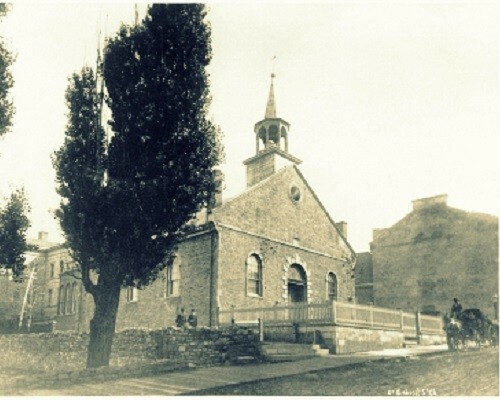 The first Presbyterian service in Montreal was held in 1787. In 1803, when the city’s population was about 9,000, St. Andrew’s Church was founded near the present site of city hall on Notre Dame Street. St. Paul’s Church was opened nearby in 1843. In 1853, as Montreal grew, St. Andrew’s built a new church on Beaver Hall Hill (on the present site of a Bell Canada building). In 1867, St. Paul’s Church also decided to move and they built on a site on Dorchester Boulevard, (now boulevard René Lévesque) near today’s Queen Elizabeth Hotel. By 1918, the two congregations decided to unite and the present building was erected in 1931-32. The former St. Paul’s church was dismantled and reconstructed just south of the present site of Vanier College in Ville St-Laurent, where it now serves as a museum. As part of our church’s bicentennial in 2003, The Rev. Dr. J.S.S. Armour published Saints, Sinners and Scots, a history of our congregation. It is available at the Book Stall in the Narthex. 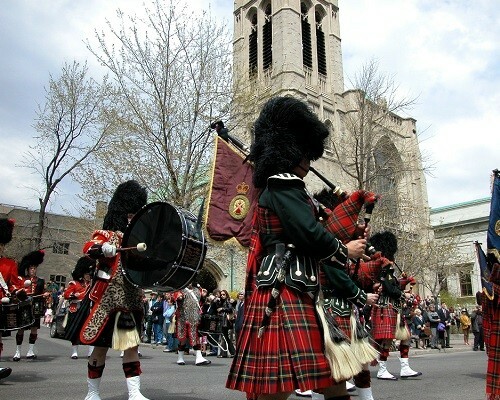 On the first Sunday each May, The Black Watch of Canada (Royal Highland Regiment) marches in its annual Church Parade along Sherbrooke Street from the Bleury Street Armoury to the Church of St. Andrew and St. Paul and back again. All are welcome to share this testament to peace. This historic regiment has a long association with our church. Their presence honours the many members of our congregation who have given their lives in our defence. Their names are inscribed on our walls. The Colours (flags) of the Regiment hang in our Sanctuary to represent their sacrifice in defending the peace we cherish and our freedom to worship in liberty. You can also see other instances of symbolism in the Church Parade. Soldiers march to the church – the army comes humbly to God’s house. They lay down their Colours, which are a record of history, on the Lord’s Table and worship in peace. The Commanding Officer reads the Lesson, acknowledgement of the dominion of God’s word. The haunting bagpipe lament during the service mourns those who have died in honour, its sound fading as a reminder to never forget their sacrifice. The Sermon by the Regiment’s Chaplain reminds us of the supremacy of Christ’s message to the world. As the service ends, the regiment carries its Colours, furled as they depart from the Sanctuary, ready once again – as in our national anthem’s call to duty – to stand on guard for us. You will find more information about The Black Watch at their website.